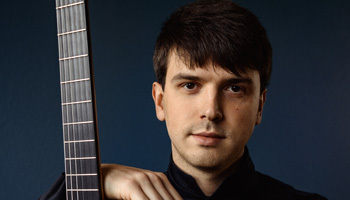 In 2002, he moved to Moscow to focus on the guitar, studying with Nikolay Komolyatov – first at the Alfred Schnittke College of Music and later at the Gnesin’s State Academy of Music, finishing in 2011. From 2012 to 2015 he studied at the Graz University of Art in Austria, with Martin Mysliveček. During this time, he won many awards including competitions in Moscow, Paris, Berlin, Kiev, St. Petersburg, Belgorod and Pescara. Since 2014, Mr. Zagumennikov has lived in Berlin, Germany, where he currently works toward his master’s degree at the Hanns Eisler Academy of Music with Daniel Göritz. In 2016, Zagumennikov recorded a CD with works by Villa-Lobos, Ponce, and Rodrigo.